Total realization of South Jakarta Urban and Rural Land and Building Tax (PBB-P2) from January to December 4, 2017 has reached 93.48 percent or around Rp 2,416,884,349,107. It was collected from 10 sub-districts in South Jakarta.
" South Jakarta PBB-P2 2017 has targeted to collect Rp 2,585,434,000,000 from 10 UPPRDs"
South Jakarta Taxation and Local Retribution Kasuban, Yuspin Dramatin mentioned there are 10 UPPRDs in each sub-districts such as Setia Budi, Pancoran, Pesanggrahan, Tebet, Cilandak, Jagakarsa, Kebayoran Baru, Kebayoran Lama, Mampang Prapatan, and Pasar Minggu sub-districts. "South Jakarta PBB-P2 2017 has targeted to collect Rp 2,585,434,000,000 from 10 UPPRDs," she said, Thursday (12/7). 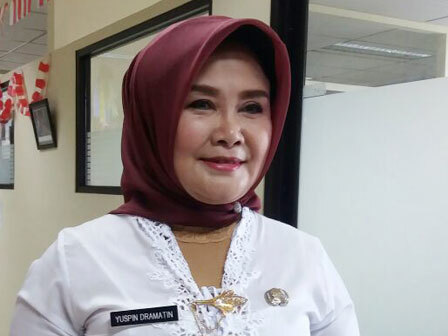 She added the highest realization among 10 UPPRDs is Tebet Sub-district as much as Rp 150,706,598,632 ot 99.12 percent from target of Rp 152,044,000,000. Then there are also Pasar Minggu Sub-district with 97.58 percent; Setiabudi 96.10 percent; Pancoran 95.55 percent; Kebayoran Lama 94.49 percent; Cilandak 91.84 percent; Kebayoran Baru 91.63 percent; Mampang Prapatan 87.63 percent; Pesanggrahan 83.56 percent, and Jagakarsa 82.92 percent. "We are optimistic to collect PBB-P2 as the target," she affirmed.